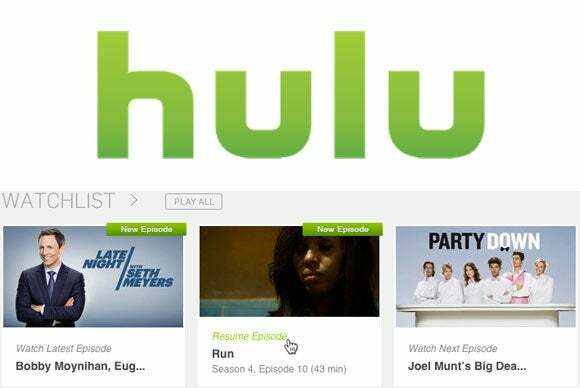 Hulu is getting its content bookmarking act together by replacing its Queue, Favorites, and Shows You Watch features with Watchlist, a new tool that lists all of your favorite TV shows and movies in one place, in the order they are most likely to be watched. Until now, the individual videos you bookmarked would appear in a Queue along with new episodes of shows you mark as a Favorite. There was also the Shows You Watch section with a list of the shows you watched the most to further complicate things. Watchlist, the company says, seamlessly combines the best bits of the three features to deliver an easier, more personalized Hulu experience across multiple devices. Adding individual episodes, clips, movies or shows to your Watchlist is as easy as clicking the “+” button on PCs and iDevices, or the “add to Watchlist” on gaming consoles, smart TVs, set-top boxes and Android devices. Or just start watching a new show to have future episodes appear in your Watchlist automatically (these can be deleted manually). The new feature, which gives pride of place to shows with new episodes or shows you’re currently watching, is already available on Hulu.com, iOS, Android, Apple TV, Roku players/TV, PS3, Amazon Fire TV, and the latest Samsung TVs and Blu-ray players. Watchlist will be rolling out to many other devices over the coming months, the company said in a blog post Tuesday. “Watchlist even learns from you, and gets smarter over time. The more content you watch on Hulu, the more personalized Watchlist will become. For example, if you always watch the latest episode of Brooklyn Nine-Nine the moment it’s available each week, Watchlist will make sure it’s the first thing you see. When you get caught up on that, the next show you’re watching will make its way to the front,” Hulu product manager Devin Elston wrote in the blog post. Why this matters : Content, they say, is king, but is it everything? In the cutthroat world of on-demand TV and movie streaming, where it’s not unusual for catalogs to overlap substantially, you need more than just content to stand out. What also counts is the overall experience, and this is where features like Watchlist or Netflix’s My List (a similar tool introduced in 2013) can make a world of difference. We would, however, like to see the ability to manually tinker with the Watchlist, which is currently restricted to item deletion.